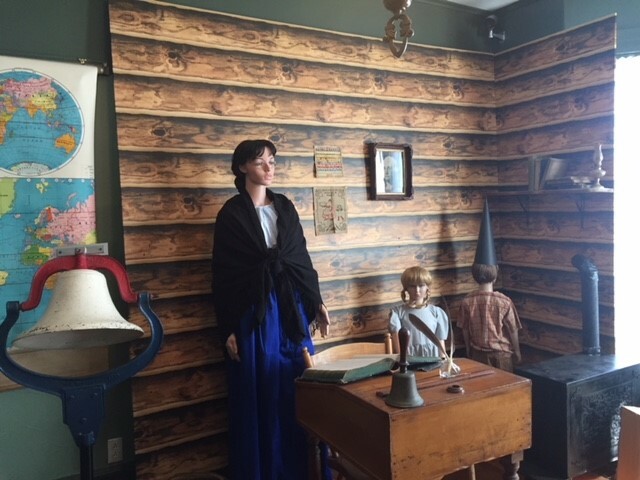 When you enter the Green Room, you will find the first school in Oakfield. 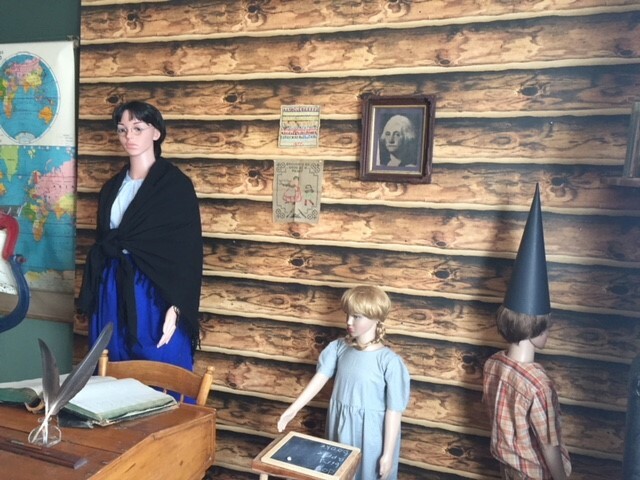 On October 23, 1828, a special meeting was held and $36 was voted on to spend on building a log schoolhouse which was to be 18 x 24 feet. The school was built by David Warner and was used for 23 years. It was located in what is now known as Triangle Park. At various times, the school was also used for church services by both, the Presbyterian’s and the Methodist’s. This school was replaced when a second schoolhouse was built in 1851. 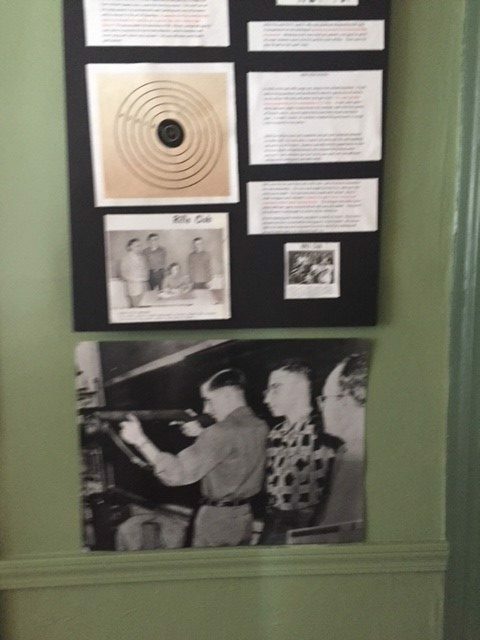 You will see a school bell from one of the one-room schoolhouses we had in the district. 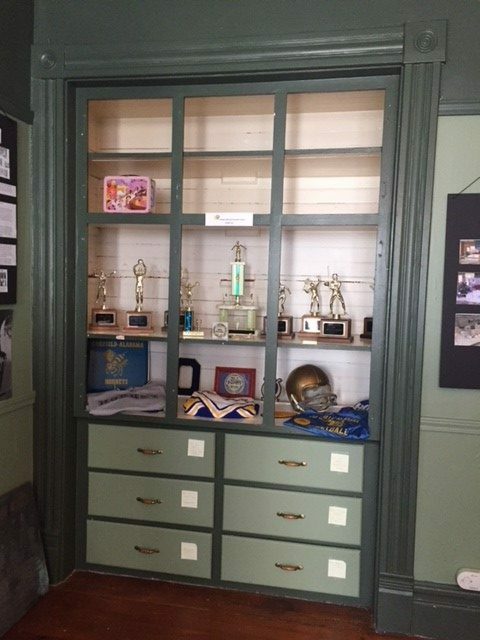 There is a trophy case with some fun memorabilia. Future Farmers of America (FFA) was disbanded, but brought back in 2017 by Mr. Todd Hoffiens combining Oakfield & Elba. 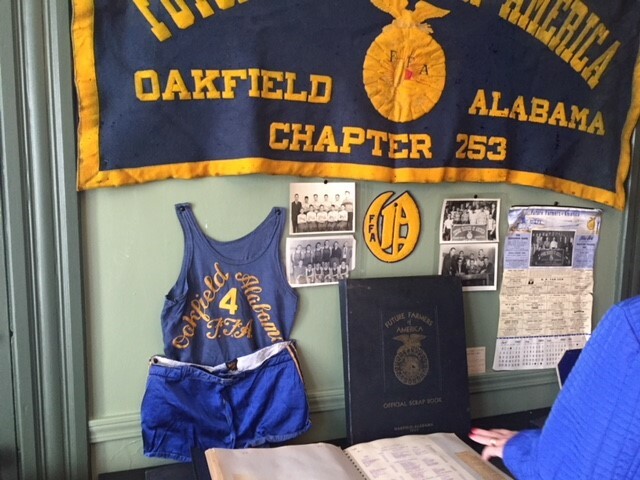 While looking through items for our display this year, we were thrilled to find the original banner, scrapbooks form the 1950’s, and a basketball uniform from the FFA’s basketball team. 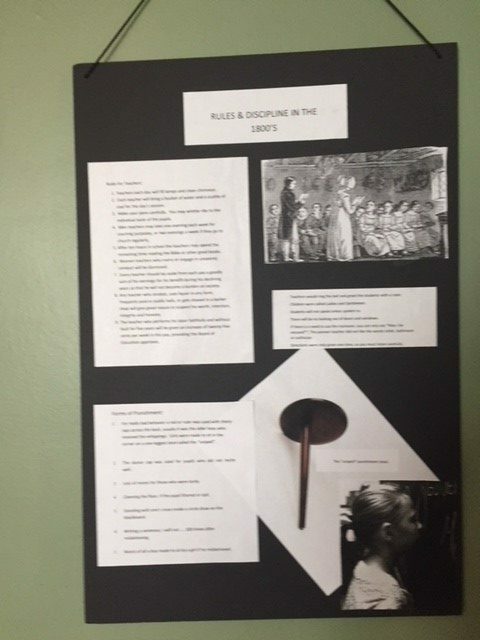 You will also find some interesting facts about school discipline from the 1800’s, such as, standing in the corner with your nose in a circle drawn on the chalkboard, or having to sit up straight on a one-legged stool. 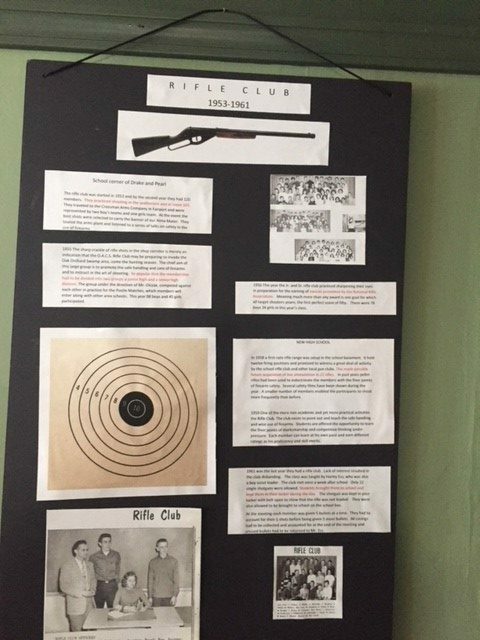 Did you know that we had a Rifle Club in our school in the 1960’s? Kid’s brought their guns on the school bus, and stored them in their lockers until it was time to go shooting.